The country's new Cabinet held its first meeting and discussed a number of issues aimed at diffusing public anger. They announced that the salaries of government employees will be increased by 15 percent. They are hoping to address some of the crucial problems that drove Egyptians out into the streets, primarily low wages, rising food prices and massive unemployment. 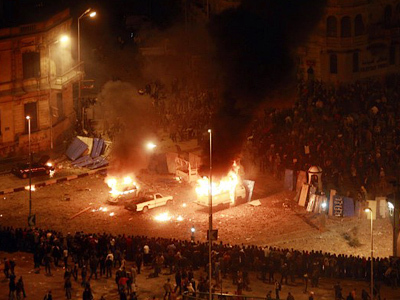 The immediate reaction of the thousands of people who remain on Tahrir Square was that it is too little, too late. Egyptian authorities also made attempts to redirect street protests to a political battleground by holding tense talks with the country’s main opposition groups as the popular uprising showed little sign of abating. Authorities have already agreed constitutional reforms to try to end the uprising over the last two weeks against President Hosni Mubarak, but the opposition says this is not enough to end the standoff. The talks progressed slowly, which comes as no surprise to anyone considering the quantity of players putting their future and reputation on the line and the number of issues to be resolved. A committee was established to study constitutional reform and given a deadline of one month to deliver its findings. It was also agreed that the state of emergency will be lifted. On Sunday, Vice President Omar Suleiman met with leaders of various opposition groups, including representatives of secular parties, the Muslim Brotherhood, independent legal experts and representatives of Mohammad ElBaradei, the former head of the International Atomic Energy Agency who earlier announced he is prepared to head the interim government. The Muslim Brotherhood is at the center of the debate in Egypt because before Sunday they said they would not participate in any talks unless Hosni Mubarak steps down. They still insist their position has not changed and the talks continue on Monday. Abdallah Al-Ashaal, a former assistant to the Egyptian foreign minister, believes the Muslim Brotherhood is only a part of Egyptian society, and that it will not dominate the political scene. Meanwhile, protesters are feeling exhausted after two weeks of protesting on the streets. 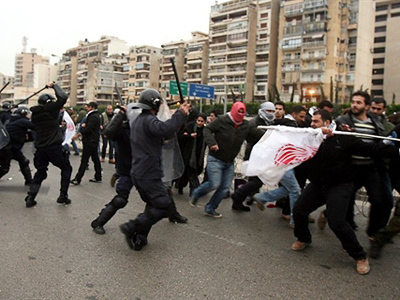 There is an attempt to return to normal away from the protests on Al Tahrir Square. Banks and businesses opened on Monday for a short period, as they did on Sunday. Even the stock exchange will open on Wednesday. The major supermarkets, though, are still closed because of fear of looting. People are choosing to try to get back to normal life not because they do not want to support the protesters, but rather because there is a real need, in a country where many people live on their daily wages, to get food back on the table for their families. The artifacts that have been damaged or destroyed during protests are being restored, and all major historical sights in Egypt are expected to be reopened in the next five days. Tahrir Square, though, still remains the focal point of the protests, and the demonstrators are preparing to spend a 14th night there. The mood between them and the army is still tense. Tanks continue to surround government buildings and other important institutions. 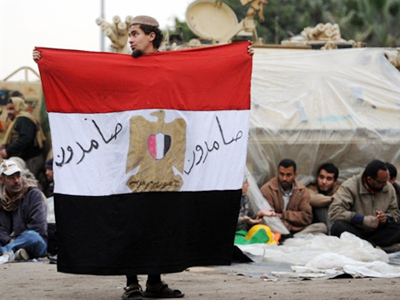 The talks between the government and the opposition groups did not really cultivate a sense of moving forward among the protesters on Tahrir Square; they either feel that the government is lying to them about commitments it is prepared to make, or they do not believe any kind of progress is being made in the talks. There have been unconfirmed reports that the police have raided the homes of local journalists. Earlier on Monday there was a symbolic procession through Tahrir Square, headed by the wife and daughter of an Egyptian journalist who was killed during the demonstrations. It is noticeable that the opposition voices are not unified. They do need somebody to bring their positions together to represent them in talks because the longer the talks continue the more chances president Mubarak has to win this battle. The big question now is how this opposition leadership will look, because quite a lot of possible scenarios are being discussed. The US has already made its point: Secretary of State Hillary Clinton said her country will support the government backed by vice president Suleiman, but it is unclear what support the latter has in Egypt because he is widely perceived as Mubarak’s appointee. Opinions differ on whether the transition to free and fair political elections could be started by immediate political changes or whether this could only happen when the president resigns. The opposition is equally suspicious of Mohammad ElBaradei – clearly supported by Washington – because although he is known on the international arena, he is not that familiar to the citizens of Egypt. 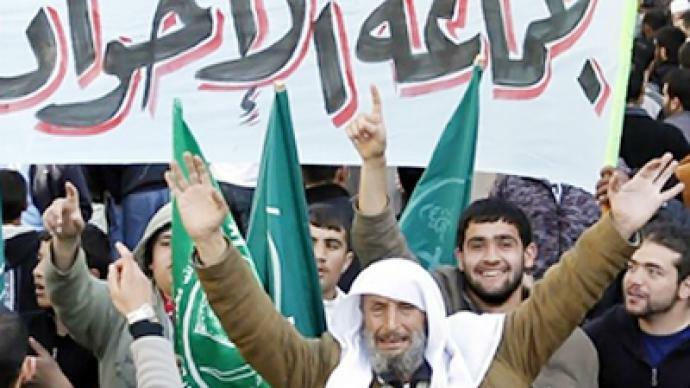 The Muslim Brotherhood poses more questions to the international community than it answers as the protests on the streets seem more and more Islamist and almost extremist. It did not get more than a passing mention in the mainstream media: Hezbollah, Hamas and Muslim Brotherhood members in a jail break. So who helped them to escape? It could be any of the thousands of protestors on Egypt’s streets. Support for the demonstrators has fled fast. And although the Muslim Brotherhood, the country's largest opposition group with an Islamist agenda, cashed in only on day three that, says Mamdouh Ramzi, is part of the plan. “Muslim Brotherhood will appear when they are sure the presidency will fall and when they have the support and power to control everything. They work in every Arab country; they're there below the surface,” he said. Now they are talking with the Egyptian authorities, while the Brotherhood’s supporters are shouting on the streets. 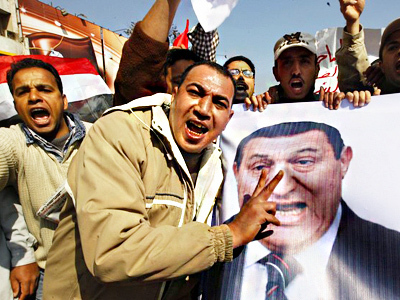 In two weeks of demonstrations their rallying call has not changed – ‘Step down Mubarak’. A member of the Muslim Brotherhood, Ahmed, and 11 of his friends traveled for 48 hours to attend the protests. They came from Eritrea to be part of what they believe is the new revolution sweeping the Middle East. “I was in Eritrea and I watched everything on TV. I wish I was here before but coming here now is my contribution,” Ahmed said. “I am asking all my brothers in Egypt to express their opinion without fear. We will never leave the blood of our martyrs who were killed in this revolution without revenge,” said Mohammed, another member of the Muslim Brotherhood. The Brotherhood gets some of its funding from Iran. And Teheran is already cashing in. 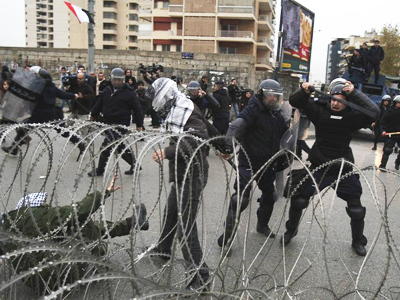 Its foreign minister says the protests show the need for an overhaul in the region. Iranian Ayatollah Ali Khamenei has called the protests an Islamic awakening. “There's an opportunity for an increased role for Muslims on the international arena, from the political and economic perspective, for the first time in quite a long while,” believes chief analyst at Islampolicy.com, Younus Abdullah Muhammad. Six years ago, the American National Intelligence Council, which is linked to the CIA, warned of exactly this. It mapped out a report on the global future. It consisted of a caliphate – one big Muslim state, created through social unrest, a slowdown in the economy and fueled by religious movements. And the US is already feeling the heat. With confusing messages coming from an administration that is unsure what to do. 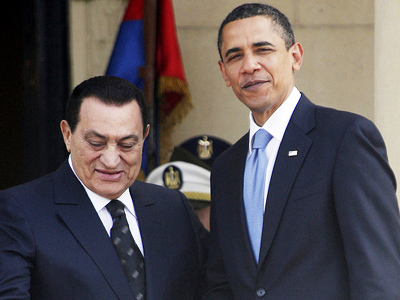 When the protests first started, President Obama was careful not to abandon his old friend Hosni Mubarak. But his loyalties soon shifted and he sided with the protestors to try and stay relevant. And it is not just Egypt that many fear. As the Brotherhood sits down for talks with a government it despises, it is not just Egypt's future that is at stake, but so too is the rest of the region. Just a couple of weeks ago the very idea of the Muslim Brotherhood holding talks with authorities would be unthinkable. The fact that this is now happening is an indication of how far things have come in just a fortnight. ­After two weeks of protests, it is quite surprising that Mubarak is still in power, and that the international community prefers not to interfere, leaving the Egyptians to solve everything themselves, says investigative journalist Tony Gosling. “In situations like there is in Egypt at the moment, international pressure can be absolutely crucial, and it seems the international pressure is all going the wrong way,” he told RT. Gosling believes that despite all the talk that the situation in Egypt is an Islamic awakening, that is not really the case. ­Omar Suleiman, Egypt's recently appointed vice president, is being hailed as a distinguished and respected politician, but details have since surfaced about the darker side of a man who has led the country's intelligence agency since 1993. 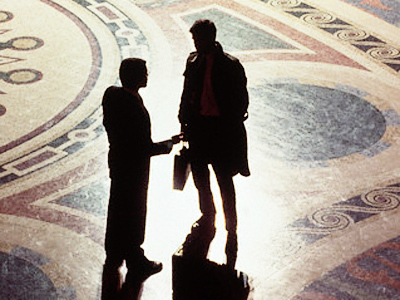 Suleiman was apparently the key person that the CIA coordinated with in their so-called extraordinary rendition program, explains Stephen Soldz, president of Psychologists for Social Responsibility. “They would kidnap suspected terrorists around the world and send them to countries in the Middle East, Egypt primary among them, would get so-called diplomatic assurances that the person wouldn’t be tortured, and then the person, of course, always was tortured, because these diplomatic assurances were essentially a game being played,” Soldz told RT. 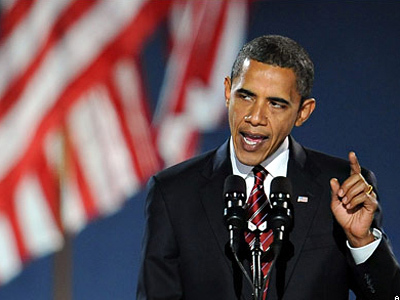 ­For more analysis on the issue read RT’s interview with author and journalist Finian Cunningham.